NEW YORK, NY, December 1, 2015 – Piksel, a global leader in building successful online video businesses, today announces its partnership with Jazz & Blues TV to launch the first digital music TV channel dedicated to jazz and blues in the world. The channel, which launches in Q1 2016, will bring premium live and VOD music concerts, interviews and performances to thousands of jazz and blues enthusiasts around the world. The launch of Jazz & Blues TV highlights the opportunity for niche content owners to engage with an expanding pool of consumers turning to online entertainment, without heavy upfront investment. However, content providers often lack the right platform and strategy to ensure their content reaches the right people, at the right price. Piksel’s business modeling services helped Jazz & Blues TV to develop a sustainable monetization strategy and will bring it to life with a branded video hub underpinned by Piksel Hive™ embracing the opportunities of the digital world and directly reaching viewers with content that they are passionate about. Jazz & Blues TV will take advantage of Piksel’s expertise in live streaming to keep music enthusiasts engaged, relying on its 24/7 Live Streaming & Monitoring Center which manages more than 40,000 live broadcasts every year. Piksel Hive is the product which will underpin Jazz and Blues TV, a cloud-based solution that enables providers to deliver content anywhere in the world and to any device, through a branded, and custom-built portal. By using Piksel Hive, Jazz & Blues TV’s audience can share content through social syndication and quickly access the channel’s most popular content through one video hub, offering viewers an immersive video experience while also supporting the channel’s organic growth. Piksel has been building successful online video businesses for over a decade. Our offering of strategic, professional and managed services is underpinned by the Piksel Palette’s SaaS-based infrastructure. It’s this recipe, combined with our commitment to creating mutually beneficial partnerships, that enables our media and entertainment clients to prosper in today’s video market. 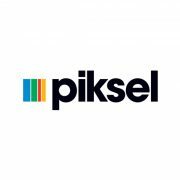 Piksel’s unrivaled expertise is in designing, building and managing online video solutions for the likes of AT&T, Sky, Channel 4, Liberty Global, Mediaset, OSN and Transavia. Headquartered in New York City, Piksel offices can be found throughout Europe and the Americas. Connect with us: Twitter, LinkedIn, Facebook, YouTube, and Google+.